While we all worry about the quality of air in the world, we have a tendency to forget about the air we breathe in our homes. The truth is that the quality of indoor air has to be controlled and constantly improved, otherwise chronic health issues will follow. Unfortunately, we don’t think too much about what is going on with the air in our home, but it’s high time to start. 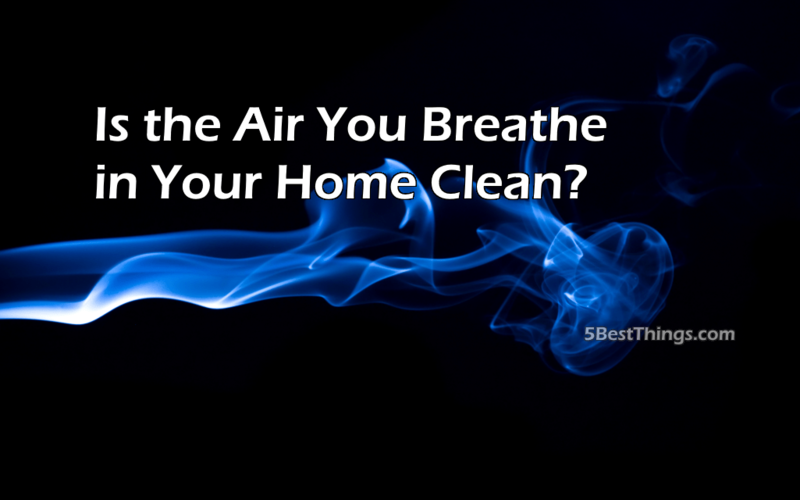 Here are some of the best ways to check if the air you breathe in your home is clean. One of the most frequent problems with indoor air is the excess humidity. This can lead to problems with your household (mold and bacteria infestations), as well as health problems caused by the allergens that bud in a humid environment. If you have asthma, then spending your time in the space with excess humidity will make you feel much worse. The trouble here is the fungi and bacteria that love the humidity and can trigger allergic reactions even in the healthiest people. The best way to tackle humidity is to get a dehumidifier – it won’t be cheap, but it will make the air in your home much cleaner and better for you. Just make sure that the humidity levels don’t go over 60% and you’re golden. One of the very first things you’ll have to deal with is the level of hygiene in your home. Along with humidity, dust buildup is the most common problem when it comes to air quality, so you need to give your best to get the dust and dirt in your home under control. With dust come dust mites, pesky microscopic beasts that will get everywhere – from your bedding to stuffed toys and carpets. They’re not easy to get rid of and they’re the ones that trigger dust allergies, which is why it’s crucial to get rid of them. To make sure that you don’t have dust mites as roommates, make sure to steam clean all upholstery and keep the humidity under control. Once a year it’s a good idea to have cleaning services such as Helpling Singapore deal with all the carpets in your home and return them to you spotless and dust mite-free. It’s also a good idea not to have carpets at all, as they’re the nesting place of these pests. What Aids You Can Use? Thankfully, there are many ways you can go around controlling your indoor air quality, and some of them are simple, yet very effective. We’ve already mentioned dehumidifiers, but if you have very dry air in your home, then a humidifier will be needed. Use activated charcoal filters, which are affordable and natural, but will do wonders when it comes to trapping allergens and eliminating smells. If you pair activated charcoal filters with HEPA filters, you will quickly see improvements in the way you breathe in your own home. HEPA filters will trap all the pollution particles and leave your home much cleaner without you even realizing it. Another great idea is getting a Himalayan pink salt lamp, which is great to look at and will do a ton of good when it comes purifying the air. Just put one in your bedroom for starters, and you’ll be amazed how good it is at removing all contaminants and leaving the air fresh an clean. This means that you will sleep better and have fewer problems when it comes to your respiratory system. Finally, good ventilation system is a must when you’re concerned about the air in your house. Open windows every day to let plenty of fresh air in, even when it’s cold outside. Install strong bathroom fans since the bathroom is most susceptible to humidity issues. Trickle vents are a good solution too, and one thing that’s important to remember is to clean your air conditioning filters regularly unless you want them to disperse dust and bacteria all over your home. Air in your home must be monitored so that you can react timely when something goes wrong. Know how to tackle indoor air pollution and your life quality will improve significantly.